When Norman Wright's wife, Joyce, passed away, he grieved the loss of his wife and the life they shared. Even in his state of sorrow, he knew he had to find a way to live without Joyce, to forge a hopeful path, and to move forward in God's grace and strength. 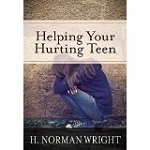 This tender and inspirational book will help any reader who is grieving or who is walking alongside a grieving friend.